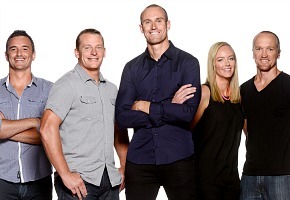 Hit reality show The Recruit won’t be back next year, but is expected to resume in 2016. The AFL Reality series, which regularly topped STV ratings, was unannounced at Foxtel’s recent Upfronts. The decision not to produce a 2015 series was reportedly based on a number of factors, including the departure of Michael Voss to become an assistant coach at the Power. “The break between series will also enable both Foxtel and McGuire Media to find a comparable replacement for Michael Voss in the coach role,” Foxtel told AFL.com.au. Producers McGuire Media are also understood to be engaging with club recruiters for a second season. “We look forward to the return of The Recruit in 2016,” an AFL spokesman said. Foxtel recently withdrew funding for the Foxtel Cup state league tournament. Seems an odd decision given how popular it was, I hope audiences haven’t forgotten about it by 2016 given how long it’ll be off air for. That’s a shame, I was looking forward to a new series in 2015. A retired coach who is unlikely to coach again might be the way to go to avoid this issue in the future. Would love to see Sheedy as the coach, but it might be too much of a time commitment for him.